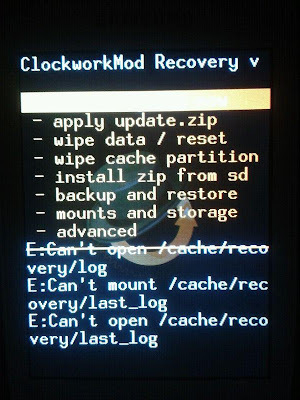 Clockwork Mod recovery says can't mount /system when I try to do a backup... What should I do ? I own a Samsung Galaxy Mini handset (if that's needed). The error is an expected one and happens generally when you are trying to backup a stock rom using the clock work mod recovery. Please, note that you can't do a completed nandroid backup of a stock firmwares. So, just install any custom rom and then you can backup and restore anytime. Such errors are normal when you visit clockworkmod recovery while on stock samsung firmware. Since clockworkmod on galaxy mini is not fully compatible with stock rom, you'll get these errors. 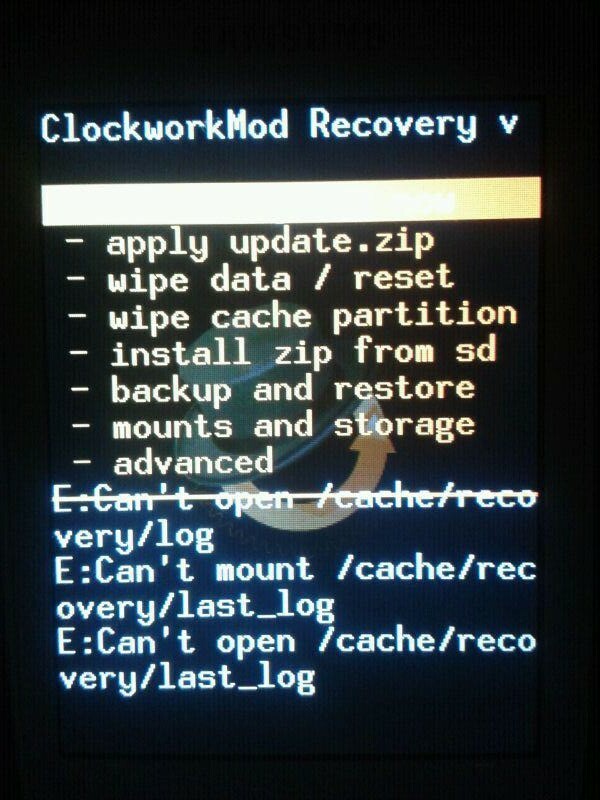 Simply flashing a custom rom on your galaxy mini handset removes this messages from clockworkmod recovery. However, if you don't plan to install custom rom, then it doesn't make sense to install custom recovery like clockworkmod. So, I suggest removing it by flashing stock rom via Odin which will overwrite clockworkmod recovery with stock android recovery. Then, How do I backup my stock Android firmware? What if I want to go back to stock rom after flashing any custom rom? Well, the fact that you can't backup a stock rom could be troublesome if you want to return back to official stock firmwares on your handset. While some Samsung stock firmwares are made available by sites like sammobile.com and sampro.pl, not all firmwares might be available. Moreover, not all devices can install these leaked firmwares. How to Revert Back to Original Stock Firmware? How to Do a Complete Nandroid Backup of a Rom? Depending upon your handset and the fact whether Odin Multidownloader -- a firmware flashing utility for Samsung smart phones -- is available for it or not, there's possibility that you can return to stock rom. If required flashing programs are available and if (upgraded) firmware is available for your region then you can download it, load it in Odin, reboot your handset to download mode and then flash/install it within few minutes and change your handset to make it look alike to that of the very first day you bought it. That's why it's always recommended to keep the firmware details of your handset (you can dial *#1234#* Samsung secret code and get PDA, Baseband and CSC details of your current firmware). If Odin or similar firmware flashing tool is not available for your handset, then I'd suggest you to think carefully before moving to any custom firmware.